Winter brings cold temperatures, freezing rain, snow, ice, and wind. It can be hard to keep your core warm. 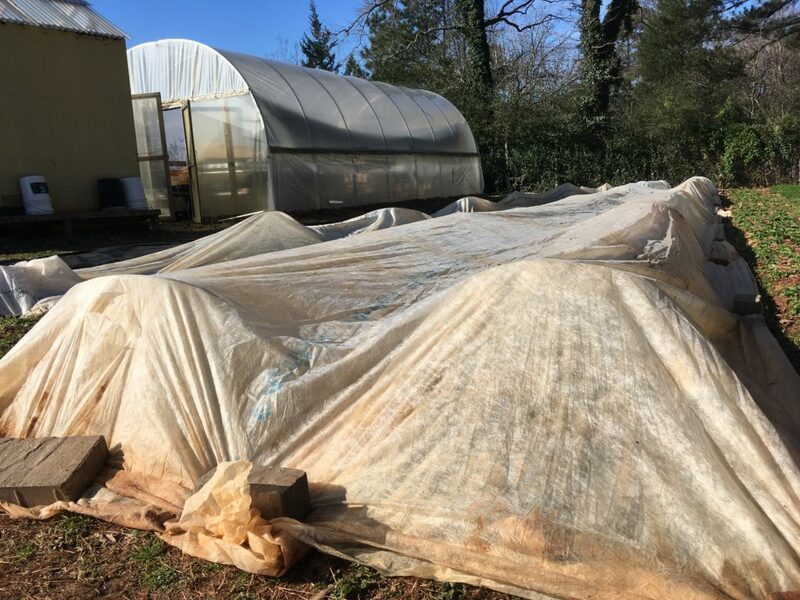 Although layering clothing is key, we have some fun ways we like to stay warm here at the Well Fed Community Garden that we would like to share with you. Chunk of ice found the morning of a cold day. 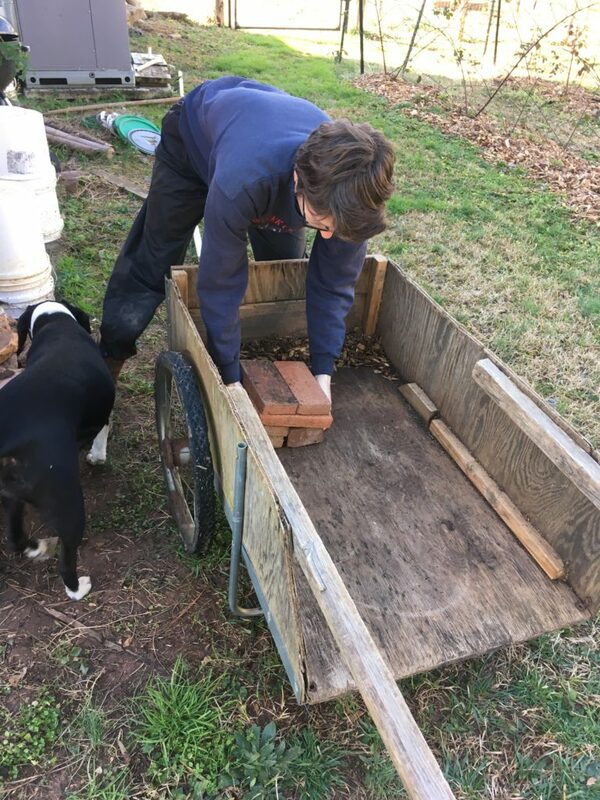 With the help of Farm Dog Bella, our Farm Manager Morgan gathers bricks to move to different rows around the farm. 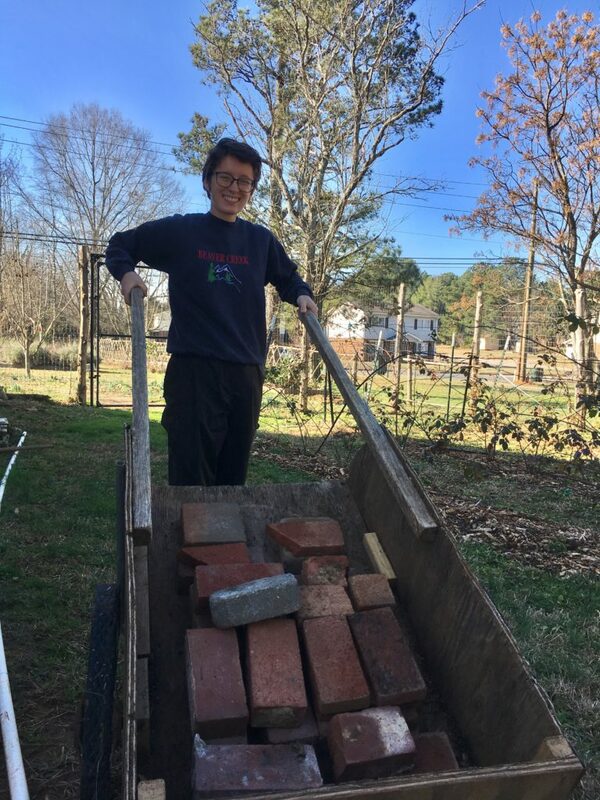 The bricks are quite heavy piled up in the wheelbarrow, and hauling them around is a great way to warm up. Once they make it to their respective rows, the bricks will hold down the edges of the row cover. 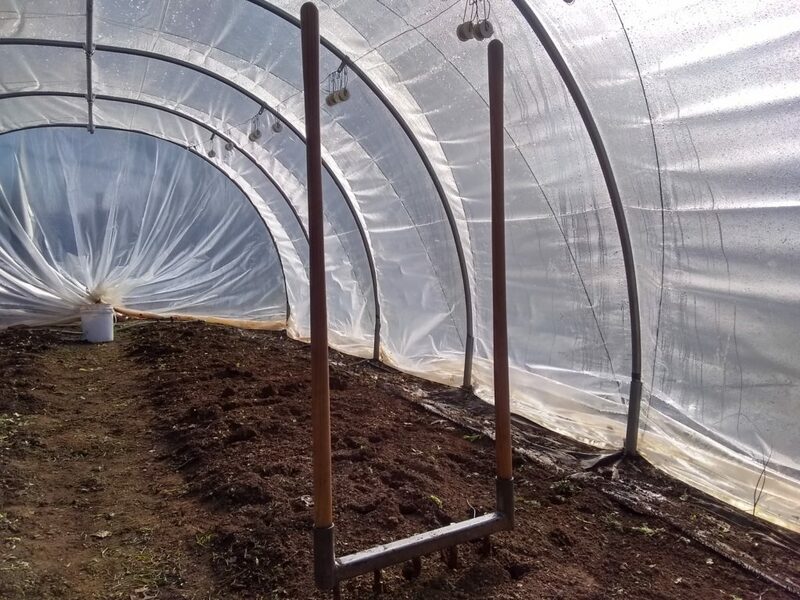 Row cover is a special white fabric that (along with hoops) creates a warmer micro-climate for the plants. 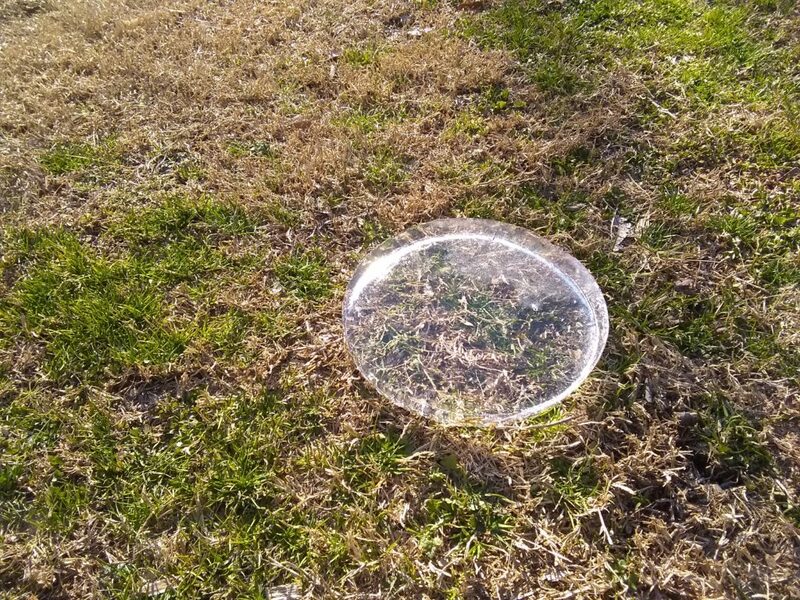 This helps keep the plants a little warmer and more protected from the elements than if they were left bare. Spinach and beets are being protected by layers of row cover held down by the bricks brought over by Morgan. 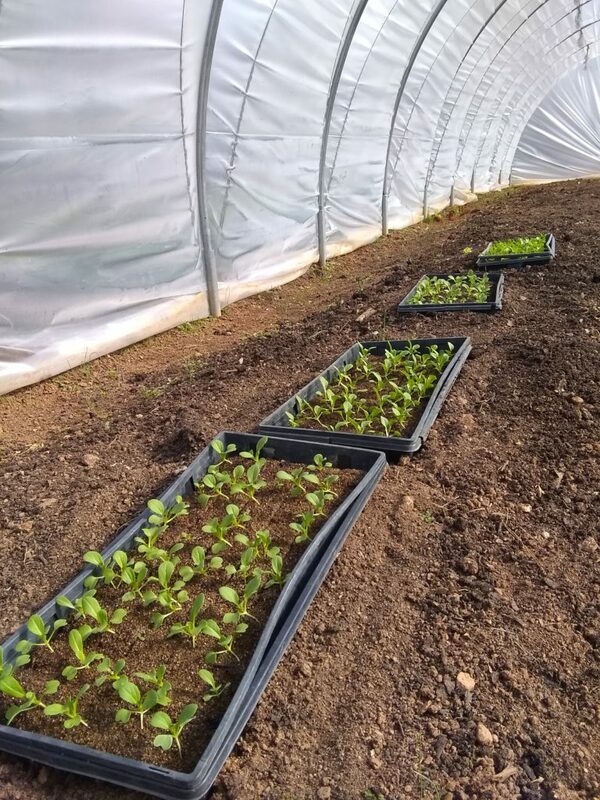 We also use row cover inside our passive greenhouse to add a little extra protection for our more vulnerable hydroponic lettuce and plant starts. Even without much help from us, our chickens handle most of the cold days the North Carolina winters bring well. We usually will prep their coop for winter by covering any summer ventilation openings and layering their bedding to provide more warmth. However, their water will freeze after the especially cold nights and we thaw their water with some warm water from the tea kettle. The chickens love this and always come running. 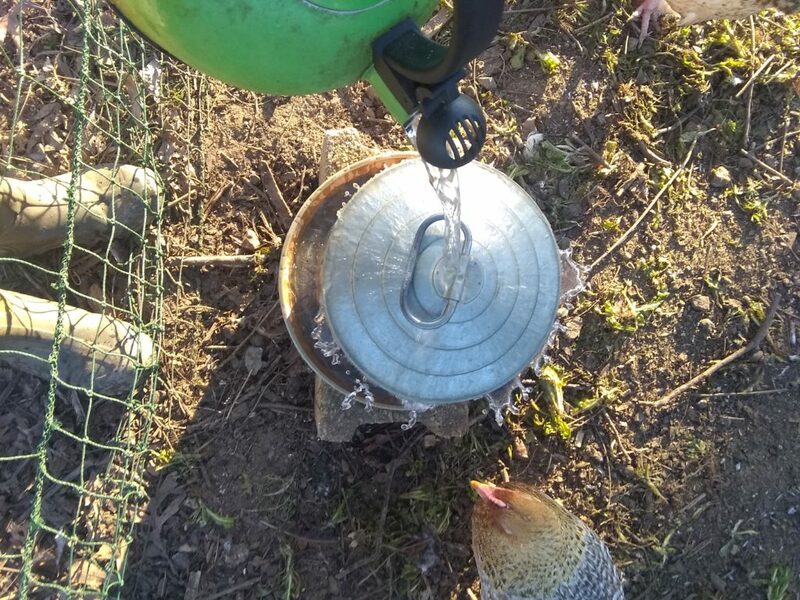 One of our chickens running over to get a nice warm drink of water. 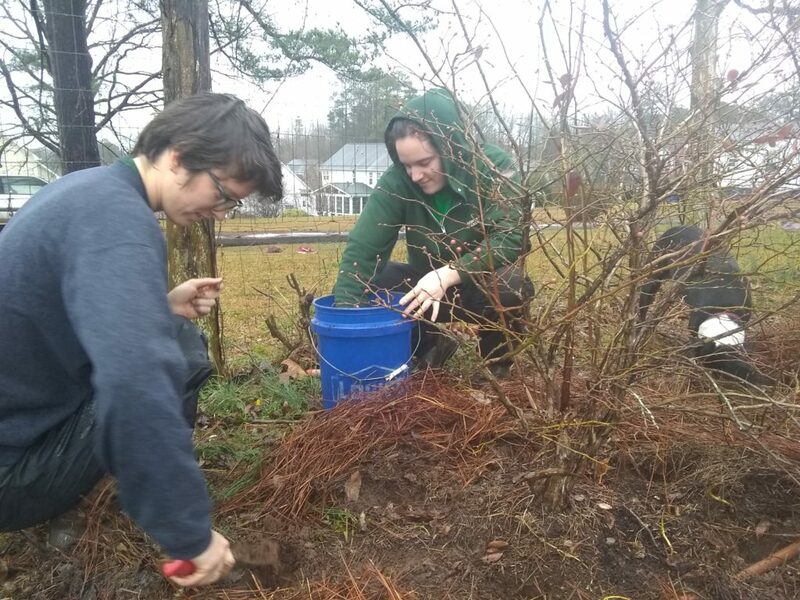 Farm Manager Morgan, Farm Apprentice Hannah, and Farm Dog Bella digging holes to fertilize our blueberry bushes so that the pH level of the soil will be in the optimal range for nutrient uptake. One way to stay warm on the farm is to work inside our caterpillar tunnel. 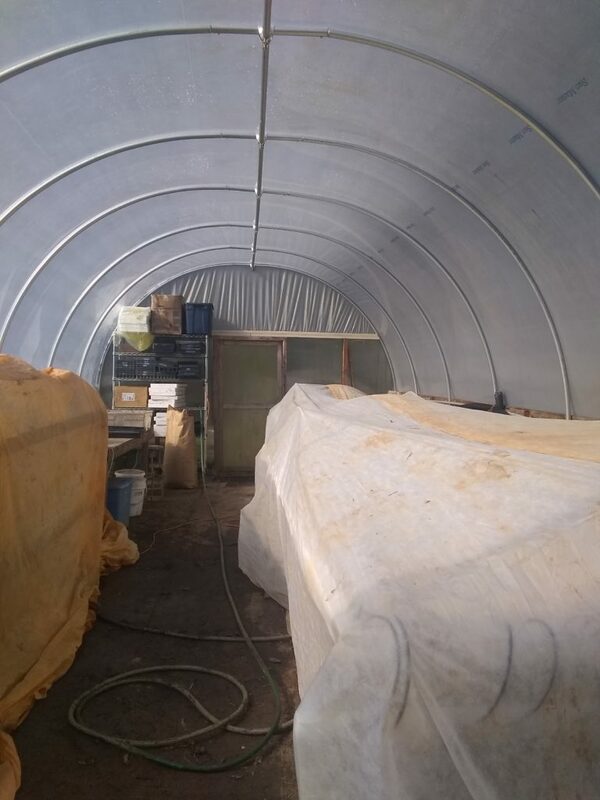 The plastic layer protects us (and the plants) from the cold winds and it warms up really quickly inside with just a bit of sunlight. 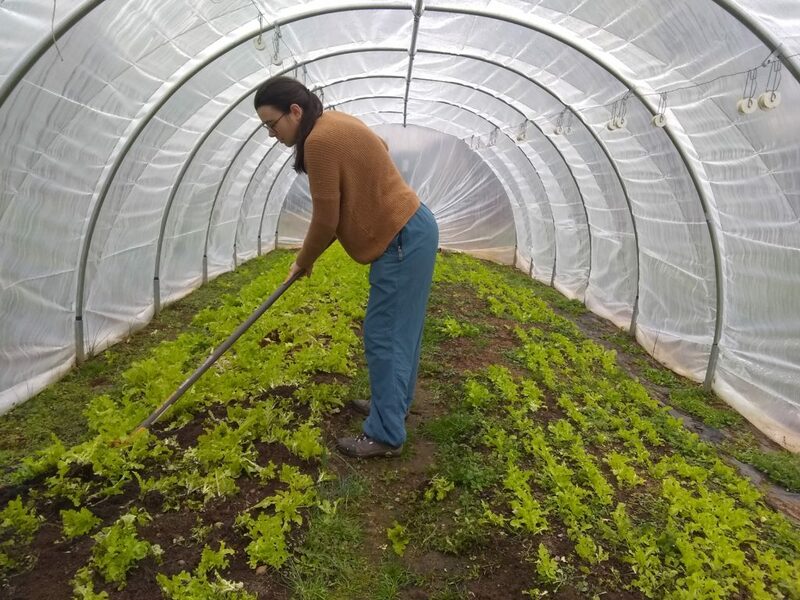 Regular volunteer, Miriam, using a scuffle hoe to clear out lettuce mix. After the beds are cleared of the lettuce mix, we use a broadfork to break up the soil for aeration and drainage without tilling. Broadforking in the caterpillar tunnel is a great way to lose a couple clothing layers in the winter. These pac choi starts were hardening off outside. When starts grow up in the greenhouse they need to spend about a week or two outside before being planted so that they can get acclimated to outdoor conditions. These starts were quickly stashed in the caterpillar tunnel before the temperature dropped from the 70s to the 30s. 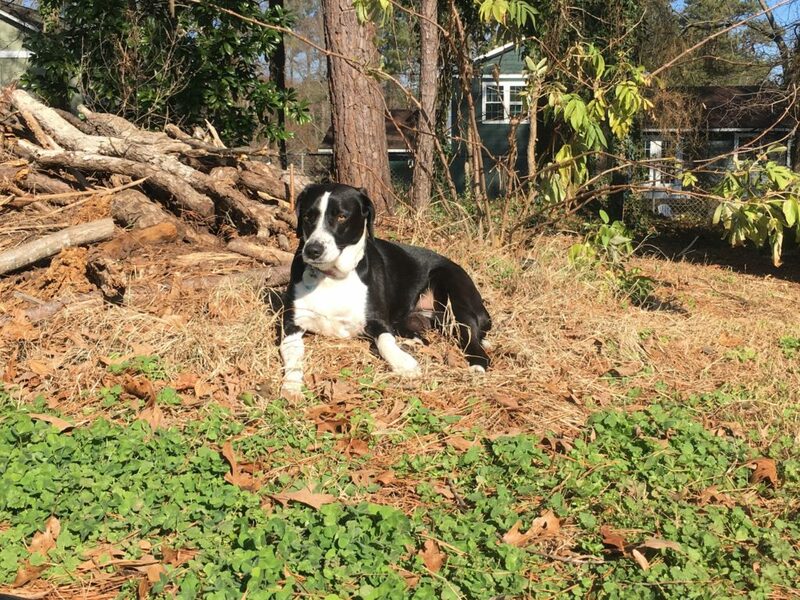 Farm Dog Bella laying out in the sun. A shining example of how to keep warm on a cold day on the farm. We hope everyone stays warm the rest of this winter. Feel free to come warm up with us Thursdays 9:30am-12pm for our regular weekly volunteer hours throughout the year.